The next painting in my series based on vintage perfumes and advertisements. 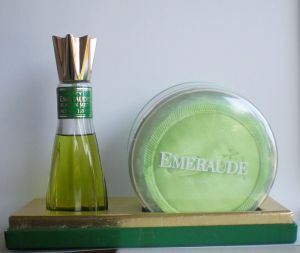 Vintage Emeraude is a lovely fragrance with notes of vanilla, orange blossom, amber and musk. 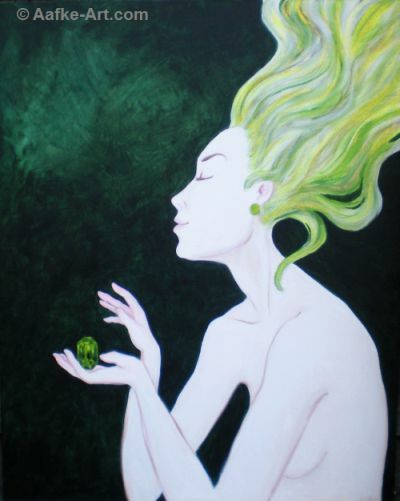 I’m sorry but I couldn’t get a really clean photograph, the dark green kept reflecting the light.